Puck Yes! Chris Lilley’s ‘Jonah From Tonga’ to Stream Online Before It Airs On TV. April 17, 2014 April 17, 2014 MataLeave a Comment on Puck Yes! Chris Lilley’s ‘Jonah From Tonga’ to Stream Online Before It Airs On TV. Buzzfeed Australia revealed that the world premiere of Chris Lilley’s new series will be released on May 2. And that fans will be able to watch the whole of Jonah From Tonga online, before it hits TV screens. 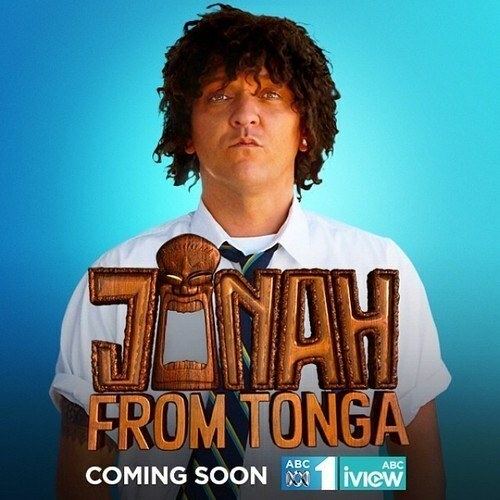 Remember how Jonah was unfairly shipped off to Tonga at the end of Summer Heights High? Well the best breakdancer in Australia and Tonga is apparently back and already wreaking havoc with a brand new crew (awww no Leon?!) and a more hardcase teacher it seems. The six-part series will premiere in an ABC iView binge, from 6 p.m. Friday May 2 until 6 p.m. Sunday May 4. Puck, here’s to hoping Australia will be kind to their NZ bros and let us in on the fun. I’m just looking forward to seeing more of his relationship with his father, some of the biggest laughs came from Jonah’s interaction with his FOB dad. Tbh while J’amie King was alright, my favourite character has ALWAYS been Jonah. I suppose it’s because I could relate much more to Jonah than Ja’mie. So thug, much gangsta… such fob. Being a Poly, oh my golly.